I discovered Conor Hutchinson’s band From The South completely by accident, when a green vinyl copy of “Cool, Cool Memories” showed up at my door with an unsigned note that read, “You don’t yet realize how much you’re going to love this album.” With that being said, I highly recommend you slip into this release. Jenell: Conor, it’s good to have this chance to sit down with you. Conor: It’s nice to meet you. Jenell: This interview was going to surround the album “Cool, Cool Memories,” but you seem to be a rather busy man, would you mind going over your other projects before we settle in and find a groove? Conor: The Newsletters is the current project with my wife Pam. 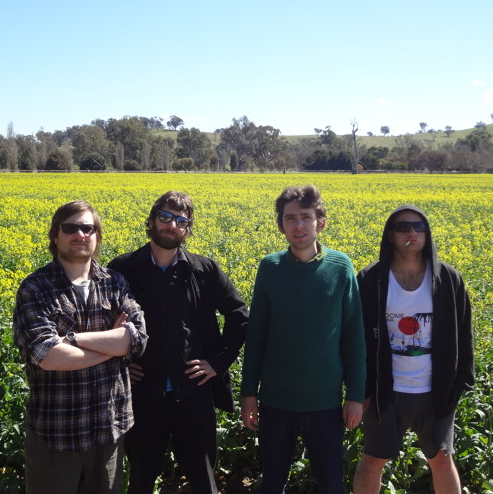 Past projects have been From The South and Cat Cat, both were bands that started in Canberra, but dissolved some time after moving cities to Melbourne. 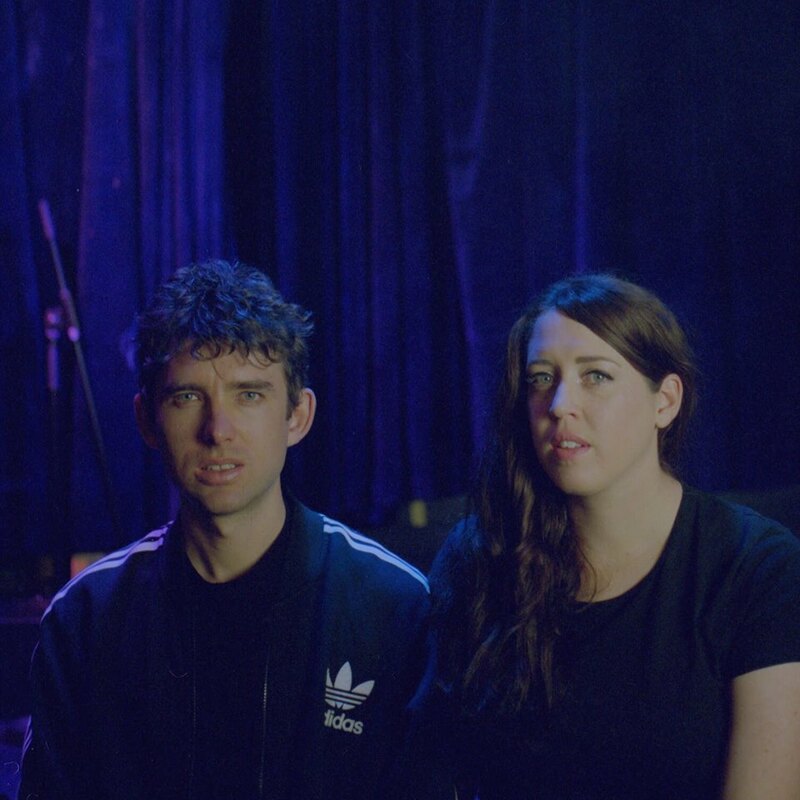 Jenell: “Cool, Cool Memories” simply floats on a current of understated jangling guitars, haunting melodies and luscious harmonies, all in the lower key range, with an intoxicatingly haunting feel … where was your head at when you laid this down? Conor: It was recorded almost seven years ago now in 2010/2011. The band members were all living in the inner north of Canberra working regular day jobs, I was at university studying Creative Writing. We’d jam together about once a week in a lounge room, and chill out, drink beer and listen to music. I would write most of songs at home strumming an acoustic guitar then bring the songs to practice and we’d flesh them out together. We’d played regular gigs as a band in the past, but at this time we weren’t playing live all that much, so this probably affected the music, and gave it a luscious living-room sound. Jenell: Your instrumentation is crystal clear, flawless … I must assume that this was intentional. Did the other players fall in line, because it certainly comes across breezy and effortless? And please, would you shed a bit of light on who those other players were? Conor: This record captures the band’s live sound and I never told people what to do in terms of their own instrument, so it’s got a fairly breezy sound to it, that was the kind of vibe that we were in at that time, hanging out with friends smoking ciggies and relaxing in the sunshine, but there was always a yin and yang to the songs, so there’s a subtle paranoia to some of the lyrics, and a creeping sense of doubt about how things in the future are actually going to play out. And as it turned out not so well as a band because one band member went to prison, another one went MIA, I moved cities, and the band split up. I played guitar and do vocals. 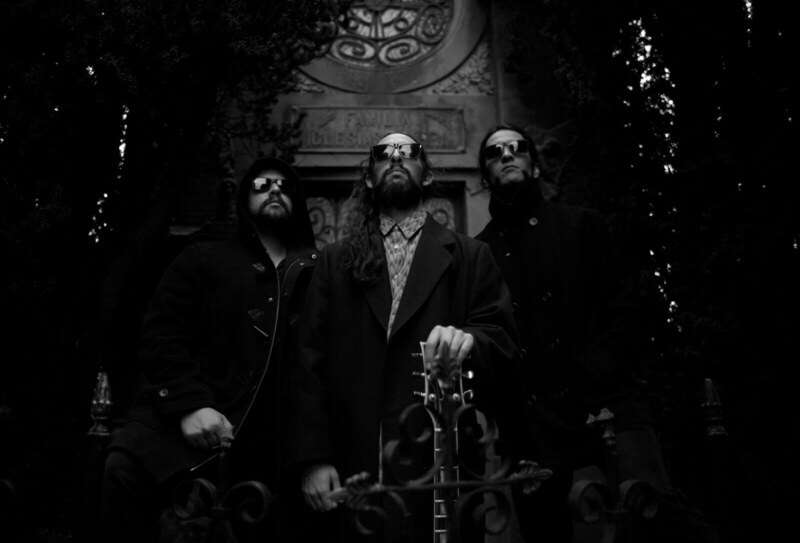 Goo Calligeros holds down guitar and vocals, Phizz Calligeros on keyboard and vocal, Kay Chinnery does drums, and Harry Bellchambers plays bass with vocal. Pam: I think it comes from them being such close friends. There was something special about From The South. They played together for such a long time, and two of the members are brothers, Goo and Phizz, so there is that closeness and familiarity with each other. Perhaps because it was recorded when they were in their early 20s, there is that creeping sense of doubt Conor mentioned. I think that is a time in life when you can unexpectedly branch from being really close and on similar trajectories to being on different paths. Maybe that is where that feeling of nostalgia mixed with paranoia about the future comes from. 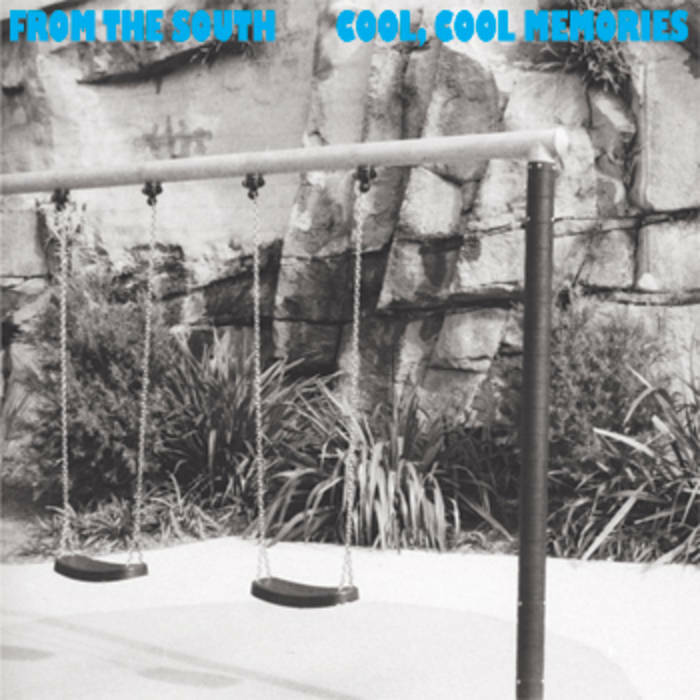 Jenell: “Cool, Cool Memories” is one of the most beautiful album titles I’ve yet to stumble across, is there a backstory? Conor: There’s a book called Cool Memories that I came across when I was working at Smiths Alternative Bookshop in Canberra, and I took the title – I don’t think I even read the book. Jenell: Not meaning to sound as if I’m being derivative, the album brings to mind some of the music laid down in America by the likes of Neil Young, The Walkabouts and a bit of Mojave 3, yet your music rides with a much more delicate nature, making it wholly original, who were your inspirations? Conor: The Feelies, the Good Earth, The Go-betweens, 16 Lovers Lane and Before Hollywood, and the first couple of Paul Kelly albums, post Gossip and Under The Sun. Jenell: Do your songs arrive fully developed or are they always a work in progress, constantly being built on and refined? Conor: The songs for From the South, I’ll have the basic guitar chords and vocal melody, and some words, then bring it to the band where we add intros, bridges etc. So the song comes together as a whole when the whole band plays it together; everyone coming up with there own parts in a intuitive kind of way while we’re playing the song together at practice. By the time we recorded Cool, Cool Memories we’d been playing together for about 6 years and so playing together felt very natural during the recording. We recorded it ourselves in an afternoon, and it was played mostly live. But I do tend to change songs even after they’ve been recorded – I’m not very sentimental about how a particular song was played in the past, I like to do it the way I feel like at the time. Jenell: From the number of bands you’ve pulled together, do you see yourself a musician in the midst of projects or ideas that you bring to fruition and then move on? Conor: There’s been a few bands over the years, From The South, Cat Cat, and now The Newsletters. I was fairly idealistic when it came to playing in a band. 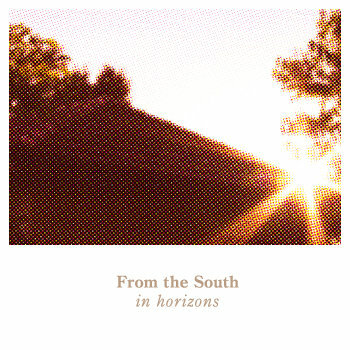 In the moment I thought From The South would be a band forever, and we released two albums that I’m very proud of and then I moved city’s and started The Newsletters. And I’m still idealistic, for me being in a band is about camaraderie. I think that’s why I love playing in The Newsletters so much because the band is me and my wife, and we’re literally bound together through marriage, so as a band we’ve definitely got each other’s backs and neither of us play in any other bands. Jenell: Your new project The Newsletters, with its self-titled album released last year is sonically completely different, not to mention that you’re now playing with your wife Pam. You encompass a broader more expansive sound, lacing the album with low-keyed dark anthems, still maintaining those jangling guitars, yet you seem to have shifted gears, drawing on the ethereal sound of the 80’s, updating that music to dance across my fingertips with a new found freshness, yet nodding to that historic past as almost a forgotten memory. What pulled you there to walk among so many ghosts? Conor: There’s about 6 years in between the recording of Cool, Cool Memories and The Newsletters LP. With From The South I played rhythm guitar and my friend Goo played lead, but with the Newsletters there’s only one guitar, so a lot of the guitar sounds on the Newsletters LP are more driven and noisy because I was filling in the gap made by the absence of a lead guitar. On The Newsletters LP I was more focused on sounds rather than songs, so the song structures are more simple, but there’s more variety in the sounds. I became really obsessed with experimenting with different guitar pedals and sounds. The other big difference is that there’s a lot more guitar and bass guitar interplay in the Newsletters. 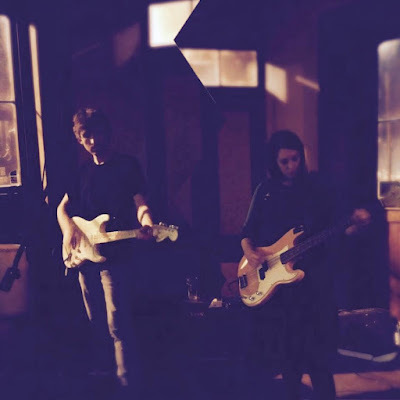 We write our songs through jamming, so it all happens together in the jam room, and in those moments me and Pam are usually drinking beer having fun and relaxing. Jenell: Your bio says that you use both a drum machine and an actual drummer, are there other effects that you’ve incorporated that we might not be aware of on first glance? Conor: The Newsletters used to have a real drummer, but are now using a drum machine. Because me and Pam live together we jam whenever we want, and it’s really easy. I’ve lived with band mates in other bands and it’s always a good thing cause you’re listening to the same bands sharing the same experiences, and so when it comes to playing music you’re already on the same wavelength. Jenell: Who are the other players on this album? 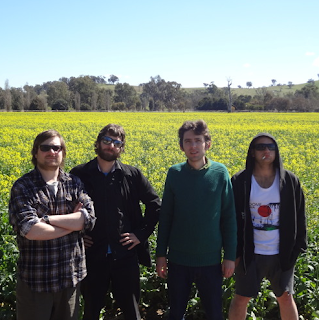 Conor: The other players on the album are Matt Cribb on bass and Tam Matlakoski on drums. Both aren’t in the band anymore. Matt left the band to move closer to beach and away from the city, so he could spend more time surfing rather then driving through peak-hour traffic. Jenell: Your lyrics have always been essential to your music, to that end, does one follow the other? Conor: On the Cool, Cool Memories album most of the lyrics would have been written at the same time as the music, most of the lyrics were the ones that came into my head when I was playing guitar and coming up with the melody. There’s only been a couple of songs where I’ve written the lyrics before the music, “Southerly Rain” off the first album In Horizons is one of them. With that song I was playing guitar with the lyrics I’d already written in front of me and I came up with the singing melody based on the lyrics. With the Newsletters I’ve become a lot less focused on the lyrics and generally just let the lyric writing happen naturally some time after the music’s been written. For example, we’ll come up with a song while we’re jamming and I’ll listen to them back after practice, and maybe a few days later the song will pop into my head while I’m walking to work or at home doing the washing , and I’ll start writing lyrics for it, I’ll scribble a line down here and there over a few days sometimes weeks. Until basically I get tired of writing lyrics for that song, and usually by that time I’m pretty happy with it. Jenell: Would you suggest that there’s a common thread that runs through or ties all of your music together? Conor: I’m always doing what I want to do, and from project to project and album to album things will sound a little different each time. I’m often changing things behind the scenes, like something might not sound good for me anymore, so I’ll scrap it and find a different way to do something till I feel satisfied. For example, sometime after recording the Cool, Cool Memories album I became unsatisfied with writing songs in that folk rock Byrds/Beatles style of song writing. To find a new way to come up with songs was a real challenge for me because I’d spent so much time writing songs in the old way. 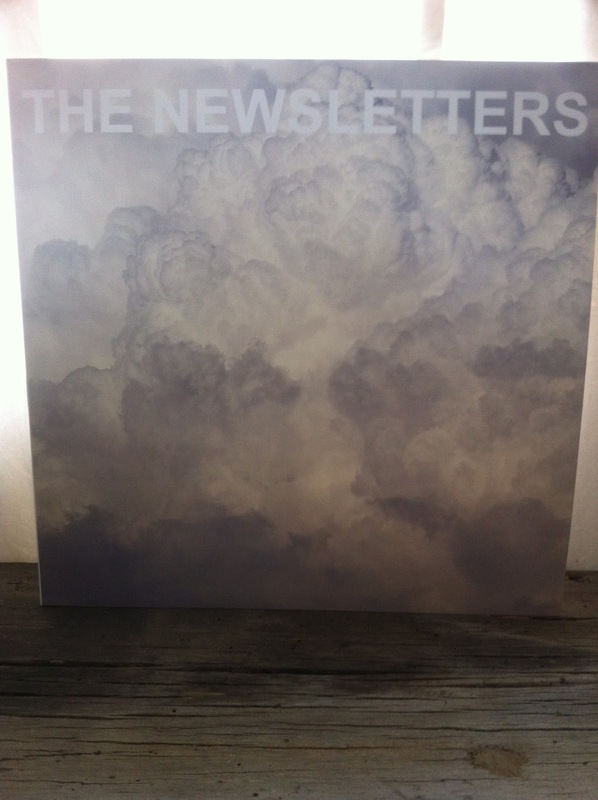 It took ages to eventually find a new process which is essentially just writing songs more organically while jamming with other people, seven years later this became The Newsletters LP. There’s always something to work on, and for me this is an ongoing and enjoyable process. Jenell: Don’t mean to put you on the spot here, but I do listen to the lyrics, “Cool, Cool Memories” certainly inspired the notion that you were protecting yourself within its couch-bound musical dreamscape, and on your latest, you come across as still protecting yourself, yet revealing that hidden side from behind a more intense sonic wall … are you a shy man? Would you say that you’re a perfectionist? Conor: I wouldn’t say I’m a perfectionist. I would describe myself as a pretty rough guitarist in style, and, especially in the Newsletters, we tend to follow our whims quite a bit which for us involves jamming songs out and we’re not afraid to make mistakes. Pam had never played an instrument before joining the band on bass, so there’s no musical charts being passed around at rehearsals – we tend to just hit play on the drum machine and off we go. Pam: I think Conor is a shy man and he can become quite defensive when people become inquisitive about his songs and his lyrics. I think it’s because the poet inside him is wanting people to find their own meaning in the lyrics. But I don’t think he’s a perfectionist as he’s really flexible and open to experimenting and jamming. That is what has allowed me to give bass a go, as I don’t feel any pressure from Conor to do things perfectly and I can just muck around. Jenell: So, are you totally digital, or does analog hold a fascination for you? Conor: I’ve done some analog recording. Mostly of the Cool Cool Memories album was recorded on a 4 track Tascam Portastudio. and I’ve recorded a record using reel to reel. Although lately I’ve been recording through digital and haven’t missed recording on tape. When it comes to listening to music at home I’ll generally put a vinyl on. 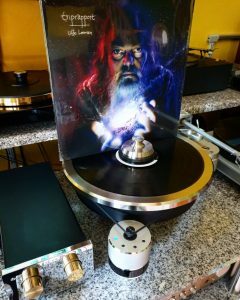 I’m not opposed to MP3s, I’ll stream music occasionally, but I prefer the record player, I’m on a computer everyday at work, so when I’m at home it’s good to have a record player. The other reason is I live near a really good record store Strangeworld Records, and they’ve always got a ton of good records, they’ve already done the hard work of trawling through the internet in search of good music. All I have to do is crack a beer and have a look through the shelves. Jenell: I know very few musicians who are totally enraptured by their instruments or equipment, … with your wishes granted, what would you like to be holding in your hands, or plugging into? Conor: If I was to walk into a music shop today and someone else was going to get the bill I’d probably get a Fender Jaguar. I’ve been using the same yellow Fender Stratocaster pretty much the entire time I’ve played guitar, so it’d be good to have another guitar. Jenell: Is there anything that’s eluding you, a space you want to wrap your arms around, or do you see this as a journey? Conor: It’s definitely a journey for me I’ve always played in bands, and it’s what I like to do. Outside of work I like going to the soccer to watch Melbourne City FC play. Jenell: I grew up with what we called Progressive Radio back in the late 60’s and early 70’s … did/do you find the lack of radio airwaves to be a hinderance, or have you found ways of working around that? Conor: The 60s and 70s sounds like a good time to be alive. There’s a supportive independent radio scene down here in Melbourne. I generally only listen to the radio when I’m driving around but we don’t own a car, so I don’t tune in that much. When I want to find new music I go to my local record store. Jenell: I want to thank you for taking some time, is there anything I’ve missed, or something you’d like to say? And please, where can we find music by From The South, and The Newsletter on the worldwide web? Conor: For gigs and updates follow The Newsletters on Facebook. 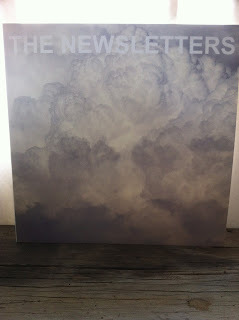 The Newsletters: vinyl or digital. From the South: digital or vinyl.